how can i improve circulation? 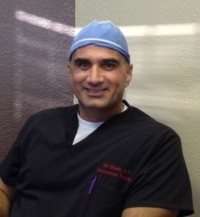 » Watch Next Video by Dr. Mel Ghaleb, MD - What is the best treatment for spider veins? How can I improve circulation? The circulations in the legs involve both arterial and venous limbs. The arterial flow is towards the feet and the venous flow should be from the feet back to the heart. So, if we have a patient who is suffering from a problem with a venous return, with the blood coming back to the heart, we have to fix this vein that is not doing what it is supposed to be doing, which is bring the blood back in to the heart in one direction. See, in venous insufficiency or reflex, what happens is the valves inside of the veins are defective and allow the blood to flow in both directions; up, but then back down. And that is why we need to fix this problem in order to improve the overall circulation of the leg as well as the sequella which is the symptoms associated with this insufficiency.